The Sony Xperia T (codenamed ‘Mint’) was unveiled by Sony in August 2012. The smartphone features a 4.55-inch screen, 1.5GHz dual-core Qualcomm processor, ‘one-touch’ NFC functionality and runs Android 4.0 with an upgrade to Android Jelly Bean promised “shortly after launch”. The device, currently the flagship in Sony’s range, was seen being used by James Bond in 2012’s Skyfall. 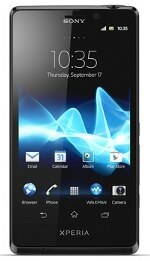 The Xperia T retails SIM-free in the UK from around £360 (US$580).